On July 11th we brought the casting team for ABC’s Shark Tank to Philadelphia, Pennsylvania for the fifth stop in a nationwide tour focused on bringing more diverse ideas and voices to the show. Values Partnerships hosted an all day casting event at the National Association for the Advancement of Colored People’s (NAACP) 106th Convention. Founded in 1909, the NAACP is the nation’s oldest and largest civil rights organization. Economic opportunity has and continues to be a major focus of the organization. 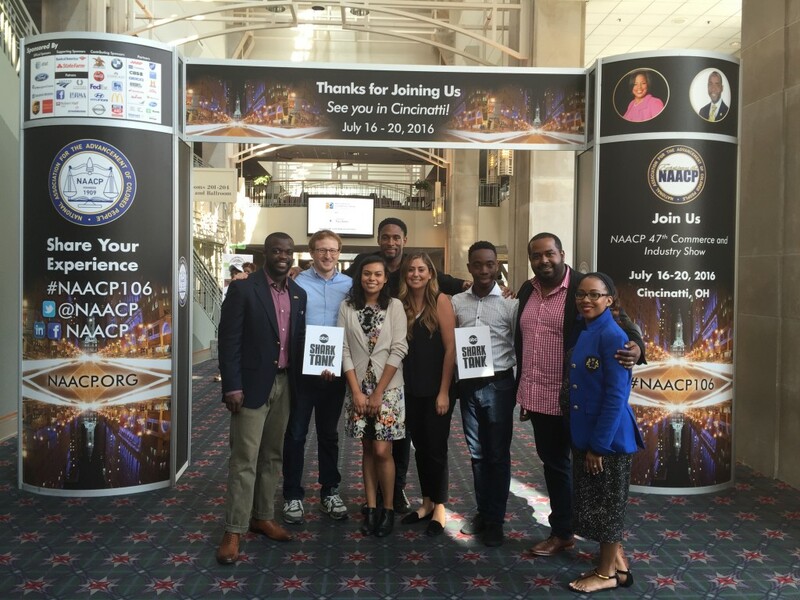 We were proud to bring the first Shark Tank casting call to the NAACP Convention. a host of positive psychological changes inevitably will result from widespread economic security. The dignity of the individual will flourish when the decisions concerning his life are in his own hands, when he has the assurance that his income is stable and certain, and when he knows that he has the means to seek self-improvement. As with any other concept, instilling this understanding early in life is incredibly important. At the 106th NAACP Convention, we had the opportunity to empower the next generation of entrepreneurs by teaching an ACT-SO Master Class on entrepreneurship. After teaching the master class we kicked off the casting call in the exhibit hall of the Pennsylvania Convention Center. The entrepreneurs filled the exhibit hall with positive energy. Mid-way through the day we paused the casting call for a Shark Tank presentation on the exhibit hall’s main stage. We gave a debrief of our 2015 casting tour with stops in NYC, DC, ATL, and Detroit. We discussed the importance of entrepreneurship and economic dynamism in a healthy economy, and implored the entrepreneurs to continue to build their businesses. As we always do, we offered our network and resources to support the entrepreneurs. Before finishing, we gave a couple entrepreneurs the opportunity to pitch their businesses to crowd from the main stage! Following the main stage presentation we re-opened the casting call and concluded the afternoon with pitches from a variety of businesses from the Philadelphia area. We had an awesome experience in Philadelphia; introducing entrepreneurs to the casting team and building the next generation of entrepreneurs.